I’ve been doing a lot of crochet recently, mostly because it’s my favourite, and also because it’s an easy travel project and we have been doing quite a bit of driving around this summer. Fortunately I have never been travel sick so I can put those hours in the car to good use! This week it is time for a bit of a change, and I’m pleased to report my sewing machine has made it out of the cupboard. My (recently published) sister-in-law asked if I would make a PE bag for my niece. She is starting school this week, which is extremely exciting for all of us, and has been told she needs her own bag rather than the standard issue school one. It makes it easier for all those 4 and 5 year olds to find their own! We went and chose the fabric together; if any of you have ever taken a 4yr old into a fabric store you may have been able to warn me that this could be a dangerous excursion. Too much choice and far too many “blingtastic” fabrics. In the end she chose this butterfly print, which is a lot less fluorescent than some of the options were! I thought this was a good choice too because the grey background will hopefully disguise the somewhat inevitable dirty marks. The cute duck buttons were her choice too. 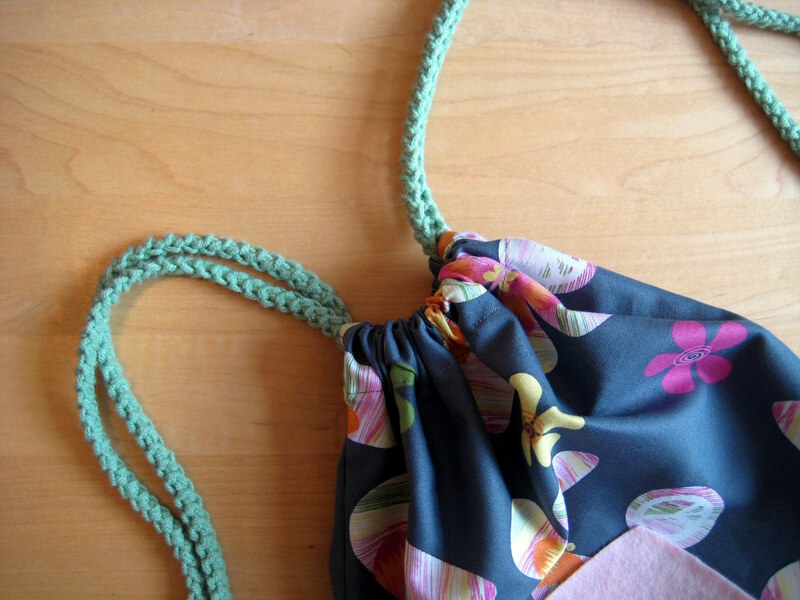 Make your own lobster cords to match your fabric! How have you been preparing for the new academic year? 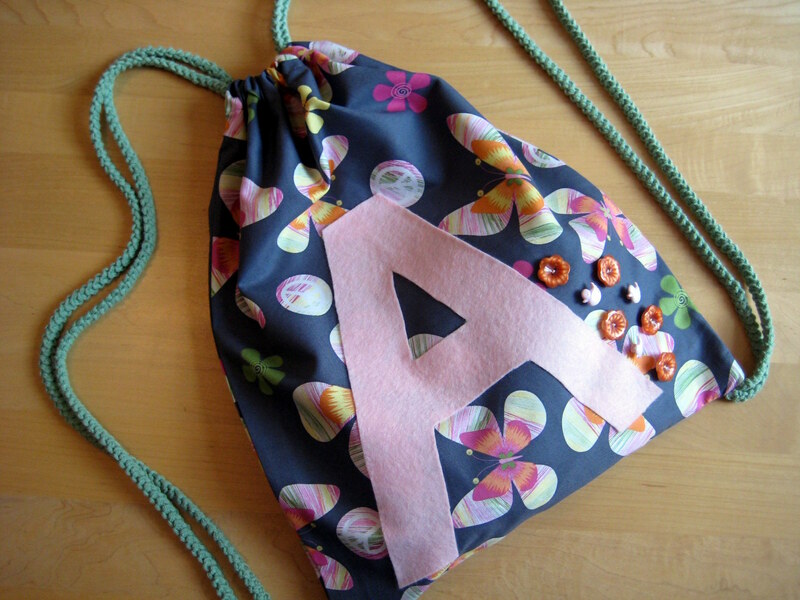 Aw, this is a very cute bag – why did I not have one like this when I was at school?! 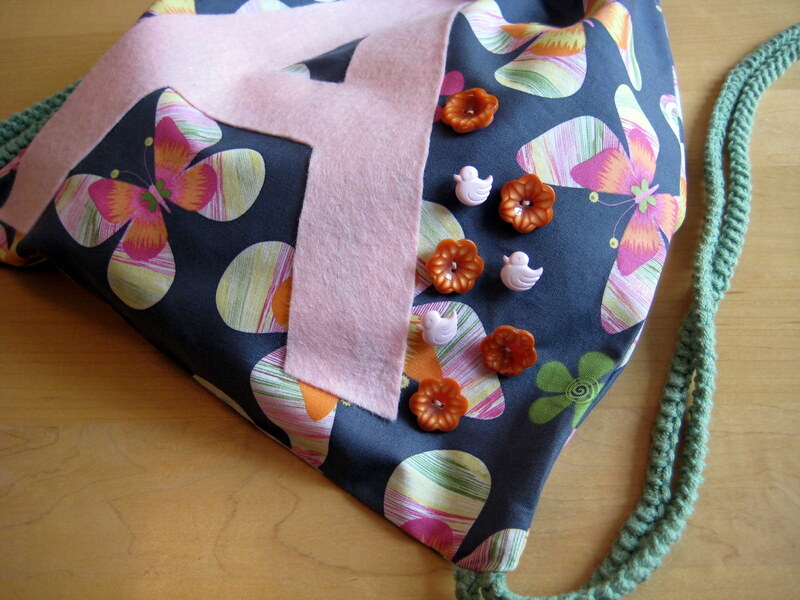 I particularly love the butterfly fabric – your niece has great taste! 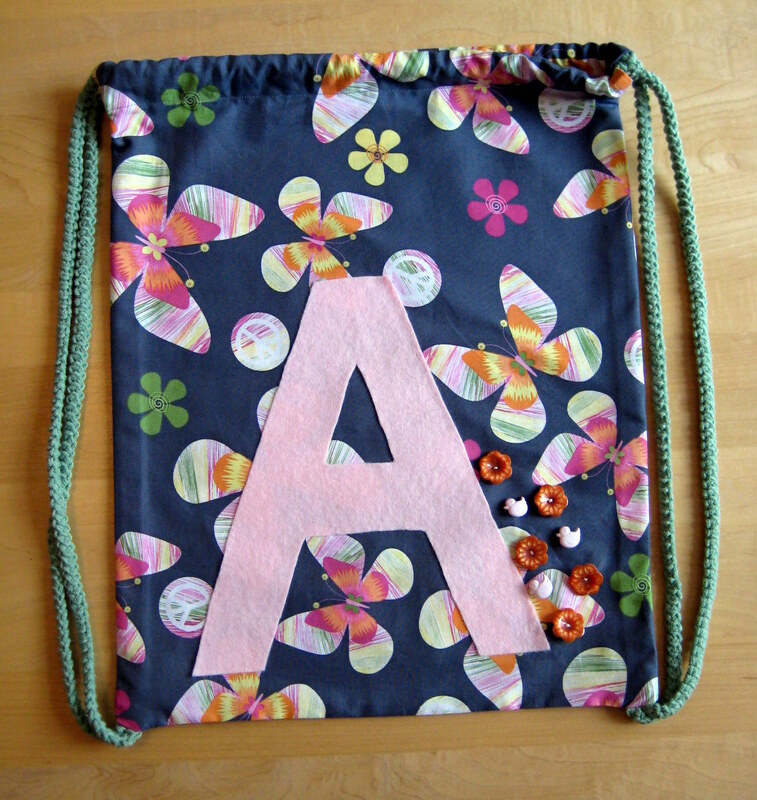 It will be the best kit bag in the cloakroom, I bet the little miss is very excited about starting school.